It’s the simple things that make Christmas special. 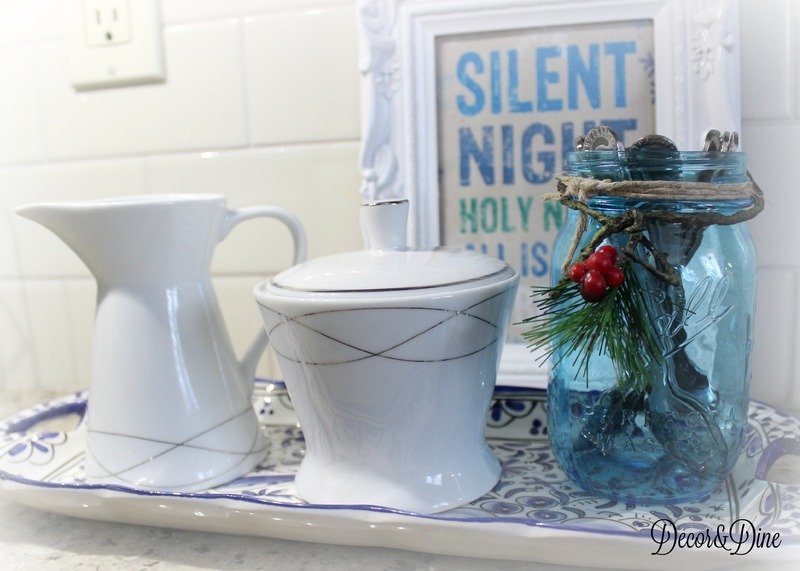 Aside from my Christmas Trees, I try to keep the rest of the Christmas themed decor pretty simple. 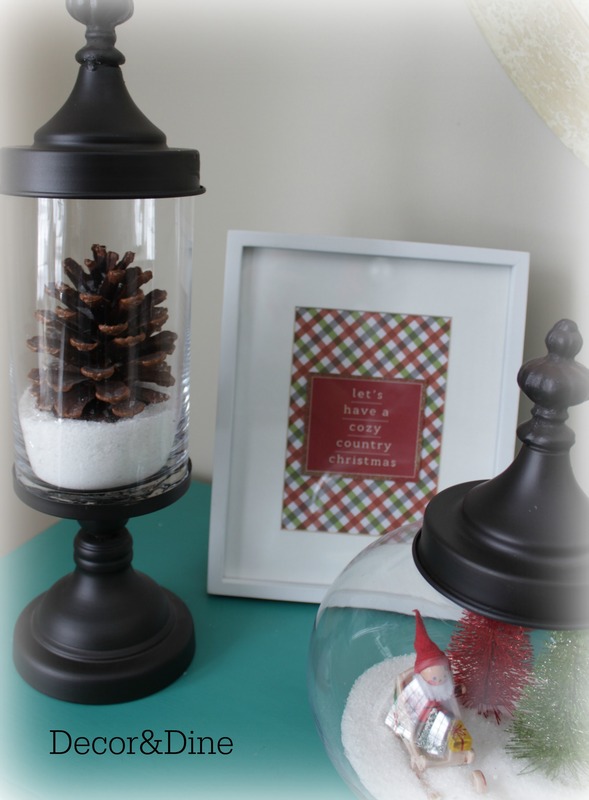 I love using tiny trees as well as framed Christmas cards. 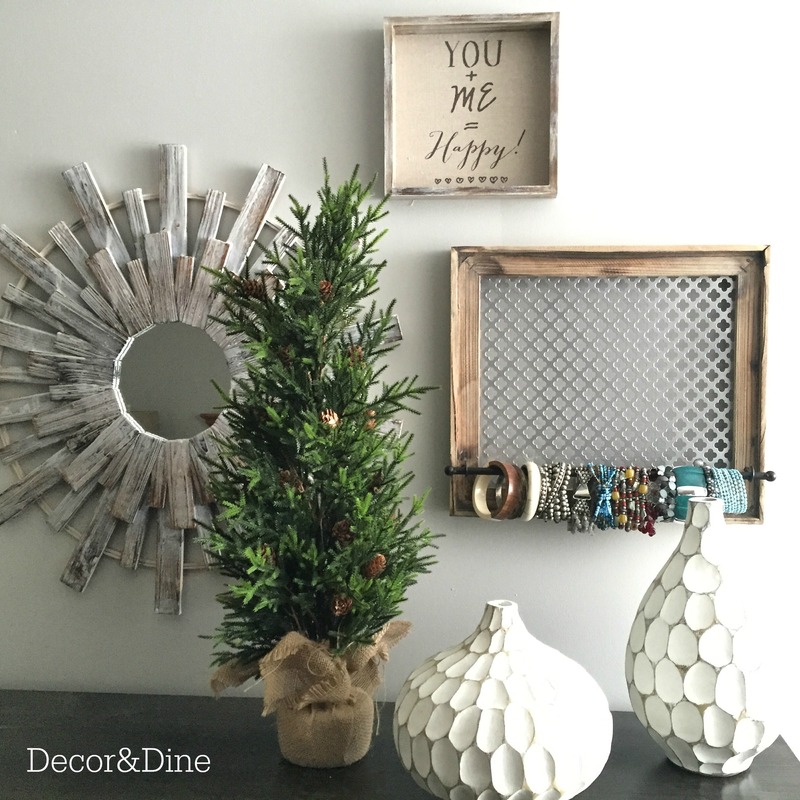 It’s a great way to display cards from family and friends. 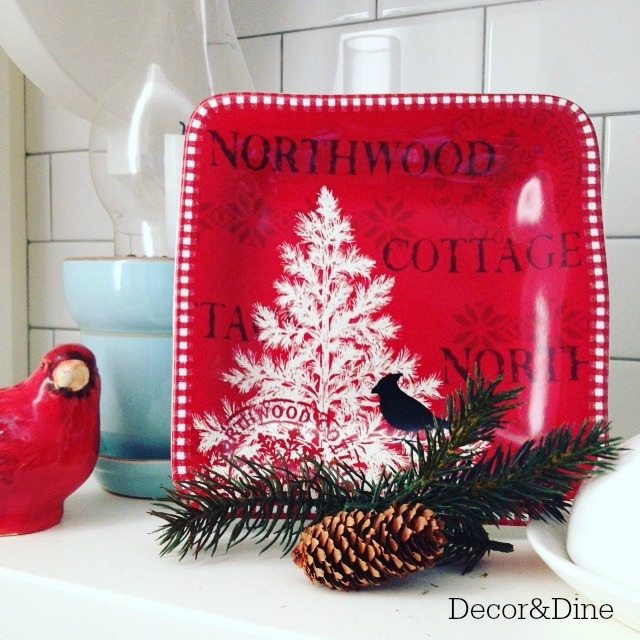 In the kitchen I love to add Holiday plates, pinecones and Pine sprigs. 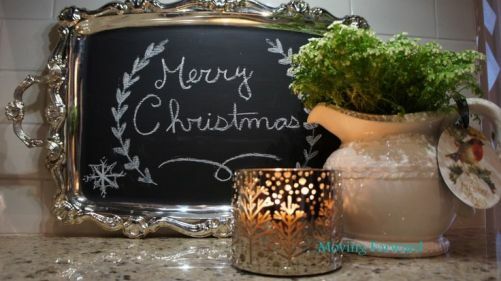 My Silver Tray Chalkboard comes in handy at this time the year. 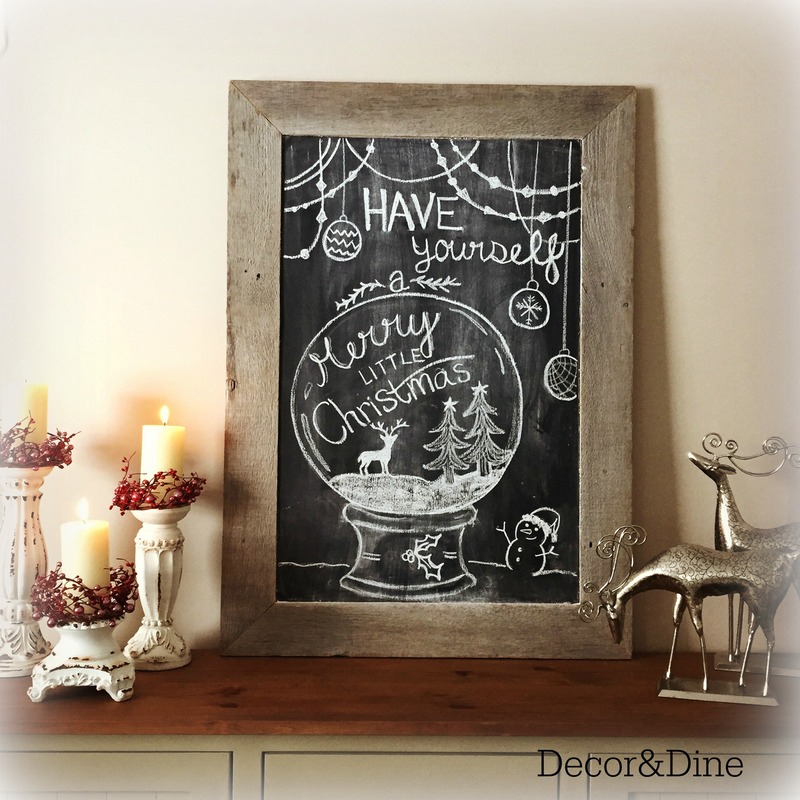 As does the large Barnwood Chalkboard in my Dining Room! My girls really enjoy adding their own art work. 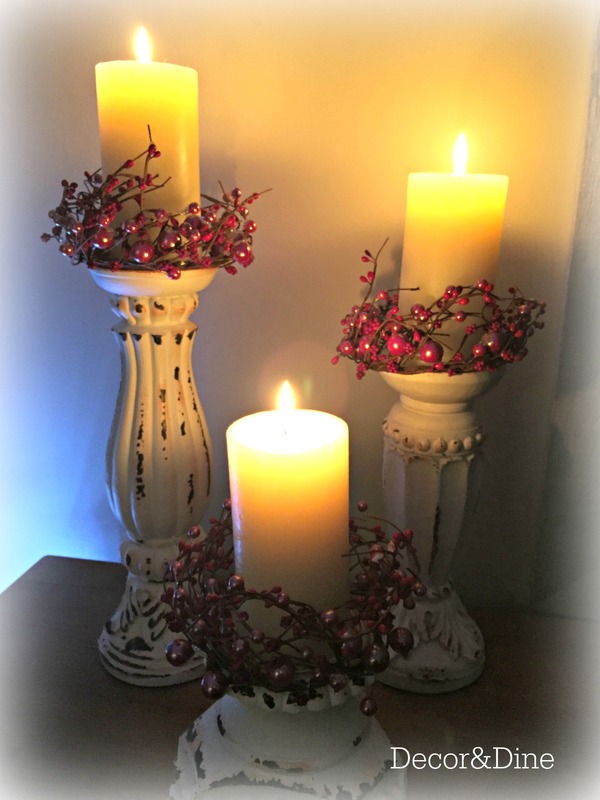 and one can never have too many candles, especially at this time of the year. 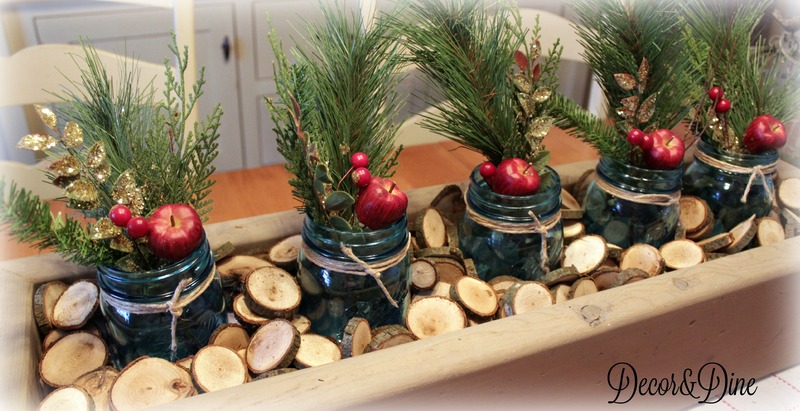 Mason jars, tree branch slices and evergreen picks make a great centrepiece! 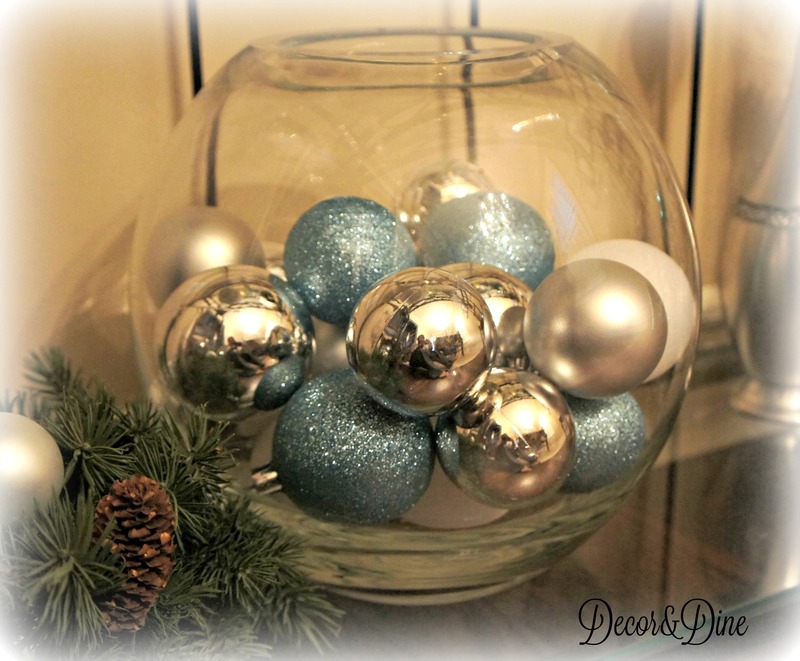 Ball Christmas ornaments added to a tray or inside a glass bowl are another great way to decorate. 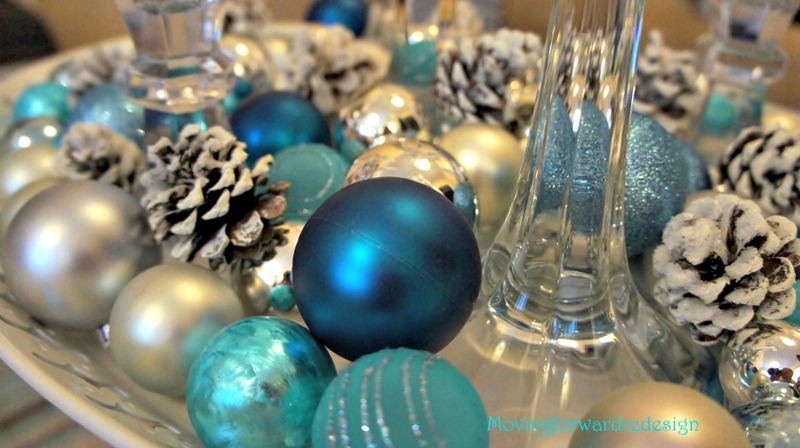 I add my DIY Frosted Pinecones with small ball ornaments to a tray, making for an easy centrepiece. 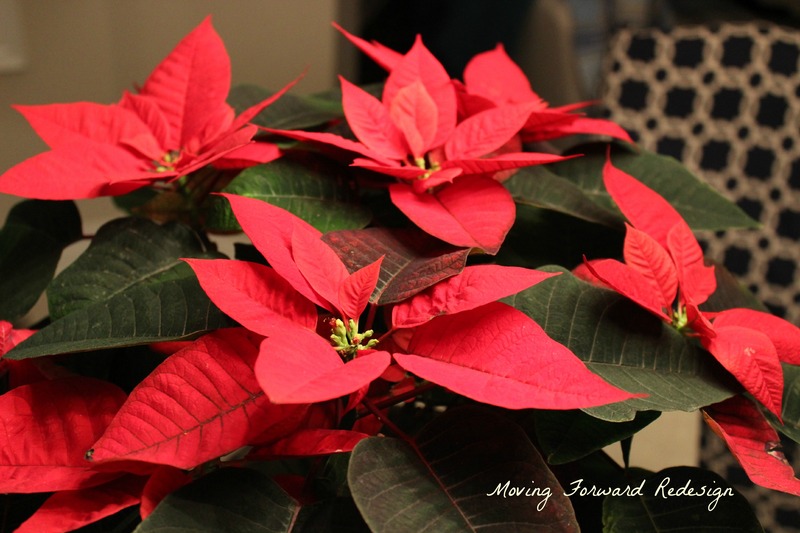 And let us not forget the traditional Poinsettia…with so many colours to choose from now, it is a great addition to your Holiday decor. 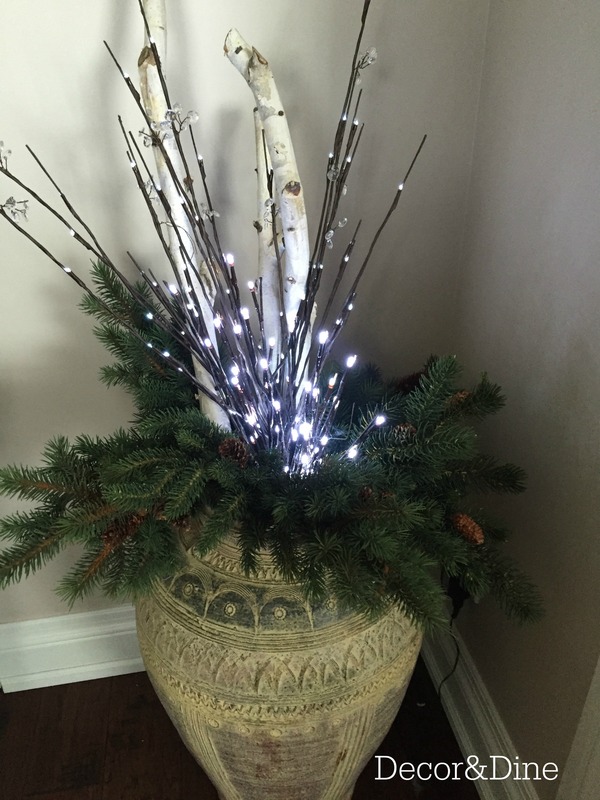 Making memories… that’s what makes Christmas special to me! 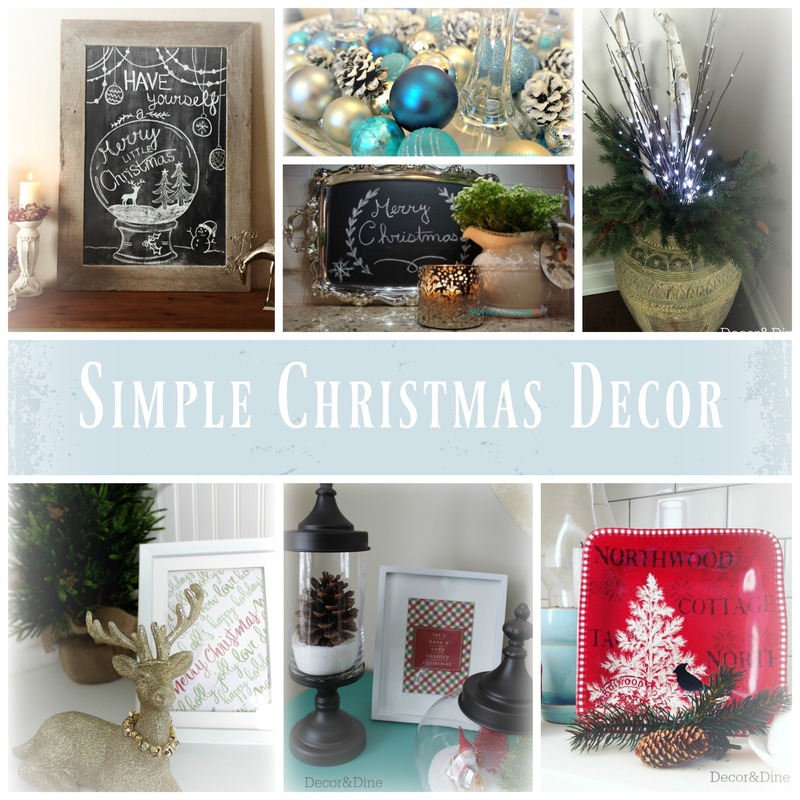 Be sure to follow us on Pinterest for more great ideas. Great ideas! They all look beautiful. 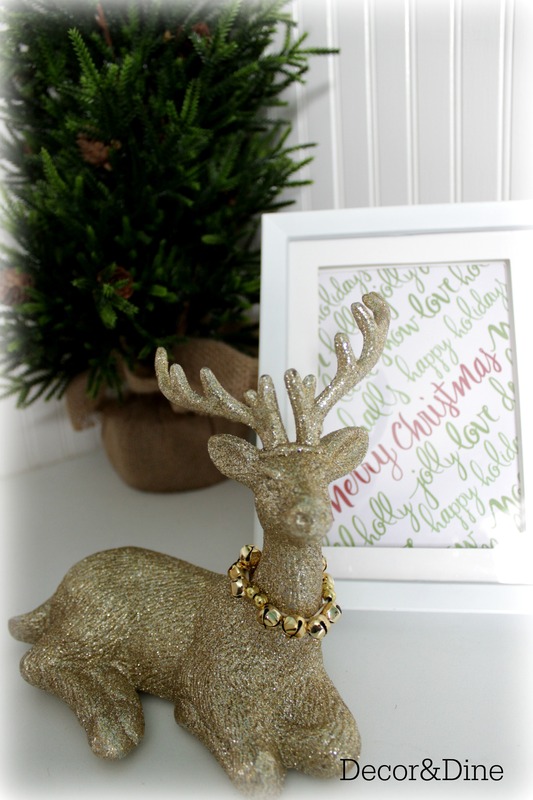 Visiting from the ‘Reader Tip Tuesday’ link-up.